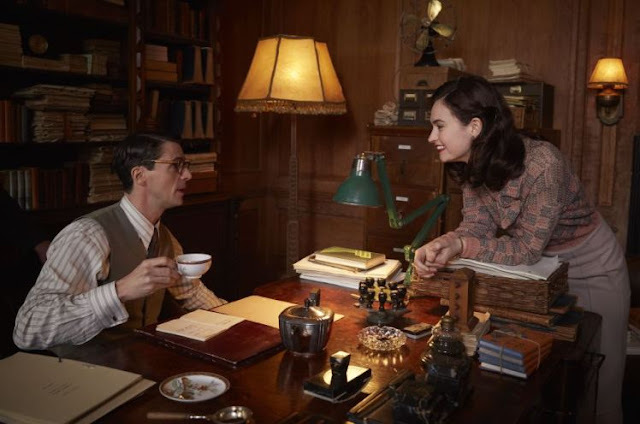 I wonder if I’m the only reader of The Guernsey Literary & Potato Peel Pie Society who harbored a small wish that Juliet and her publisher Sidney Stark would end up together? They had such good on-the-page chemistry together. Of course, that lovely crackling friendship is destined to remain just that as the reader learns—and Juliet has known all along—that Sidney is gay. Or homosexual as they used to say. 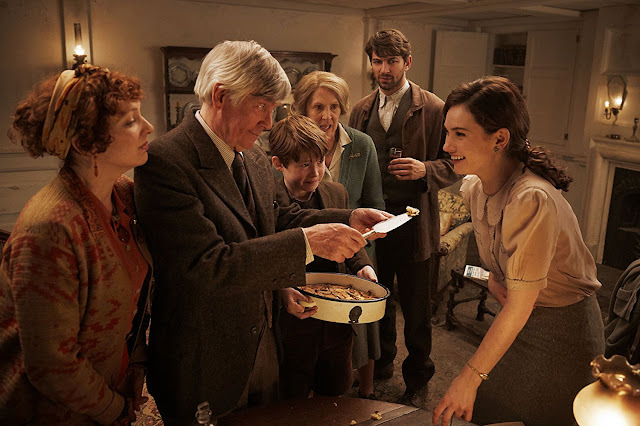 Still, that same crackling chemistry is on display in this first clip from The Guernsey Literary and Potato Peel Pie Society. The pair clearly gets along like beloved big brother and sister. 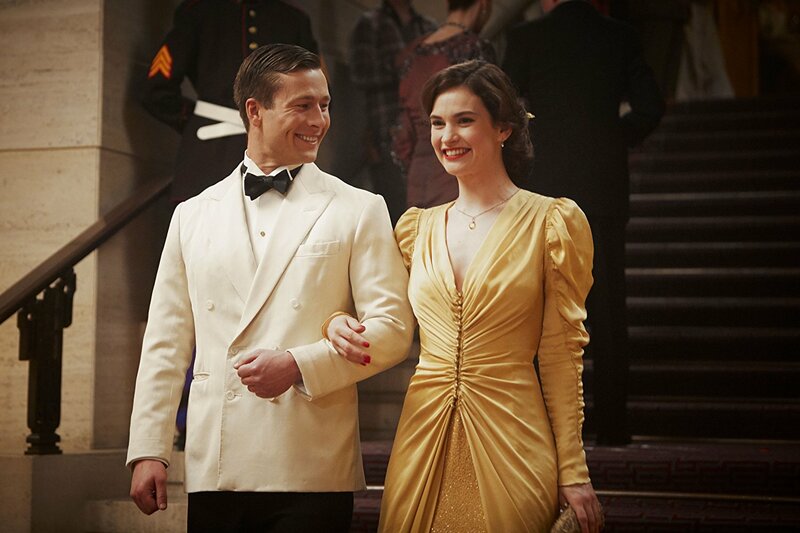 I’d love to see Matthew Goode and Lily James do something together someday. The flashy Mark Reynolds, an American publisher, arrogant & entitled but still charming, initially sweeps Juliet off her feet. I imagined Aaron Eckhart in the role when I dream-cast Guernsey back in 2012. I still think Eckhart would have made a great Reynolds. Of course, it’s Dawsey, quiet, and solid with his deeply caring manner and intensity that wins Juliet over. Michiel Huisman (Game of Thrones) fits that bill nicely. That’s Michiel, not Michael. I'm sure the book by Mary Ann Shaffer and Annie Barrows increased tourism on the island. 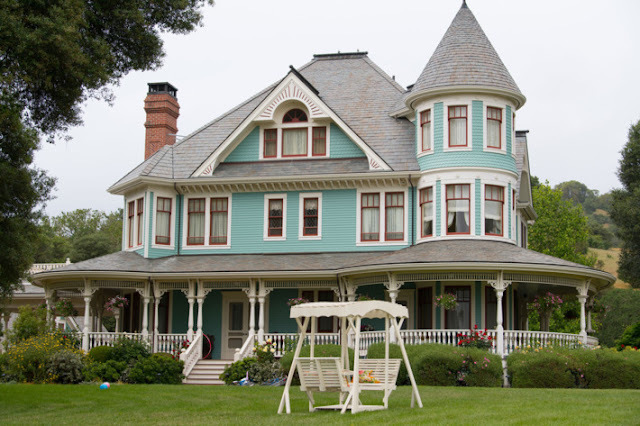 I can only imagine the influx of visitors the film will spur. Better book now! Has anyone tried Potato Peel Pie? Sounds awful. 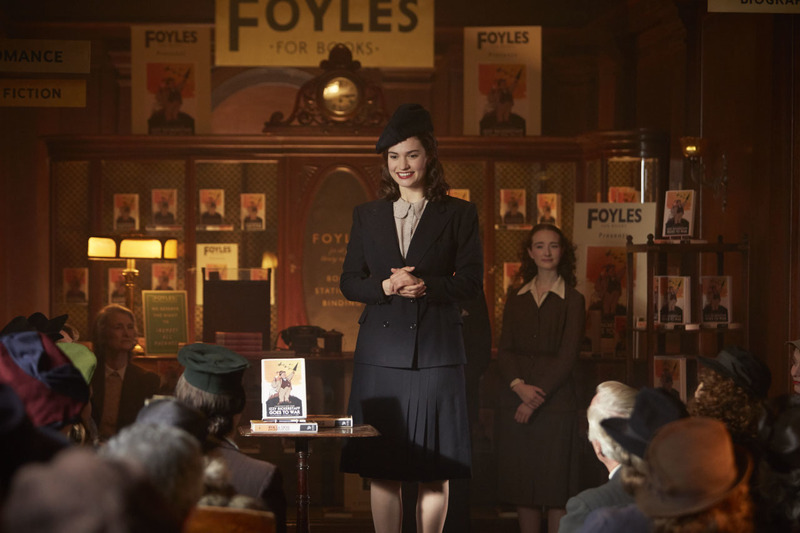 Juliet giving one of the literary talks she dreaded at the famous Foyle’s bookshop. The store remains but like the rest of us, it’s changed with the years. Still a fab bookstore, worth visiting. 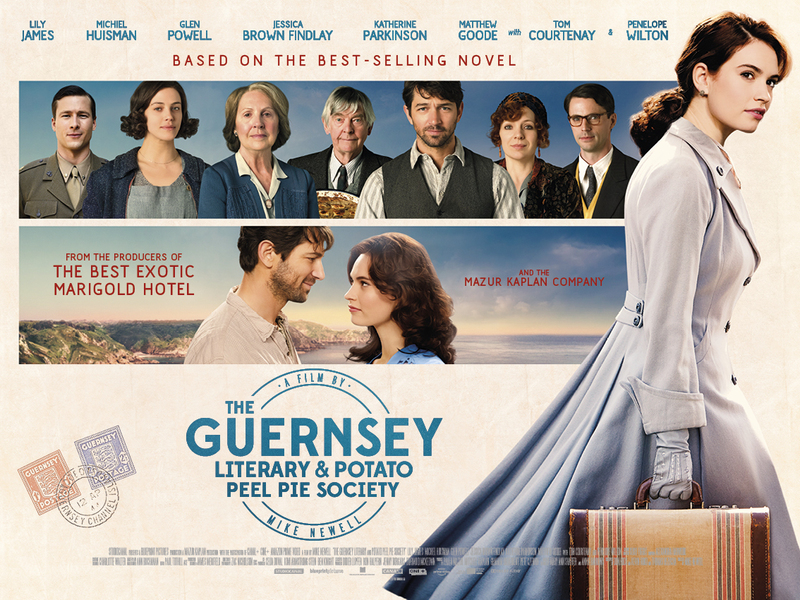 I expect, like Juliet, we'll fall in love with all the characters we meet on Guernsey. 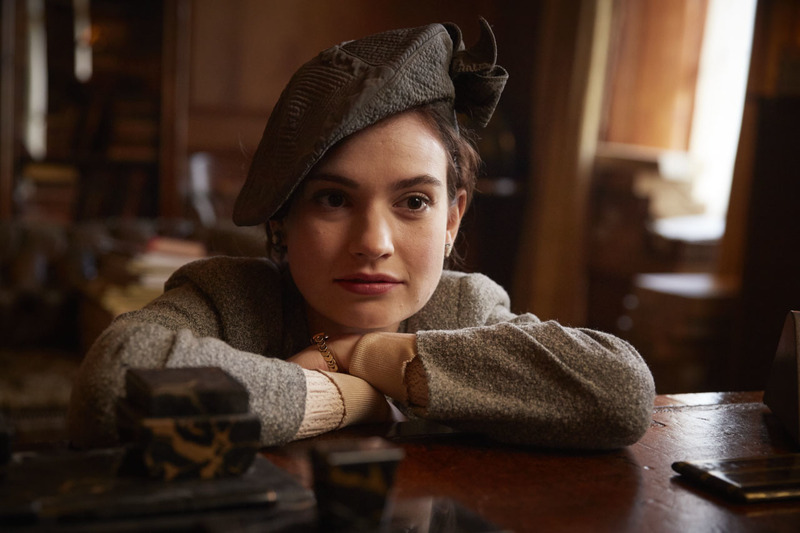 The Guernsey Literary & Potato Peel Society also stars Downton Abbey alums Jessica Brown Findlay as Elizabeth & Penelope Wilton as Amelia Maugery with Katherine Parkinson (In the Club) as Isola Pribby and Tom Courtenay as Eben. I’m a little concerned that I don’t see a credit for Elizabeth’s daughter Kit. Have they rewritten the important child out of the script? 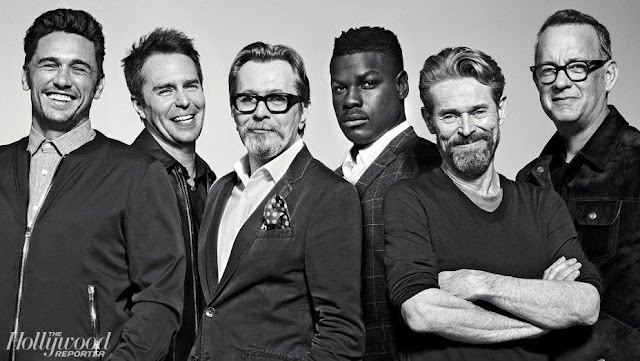 Studiocanal co-financed the film which rolls out in Australia on April 19, the UK on April 20, New Zealand on April 25, France in June and Germany in August and sometime—SOMETIME!—on Netflix for those of us in the USA. In the meantime, I’ll just keep watching the trailers and sharing what I can about the film and the book and history behind the story. 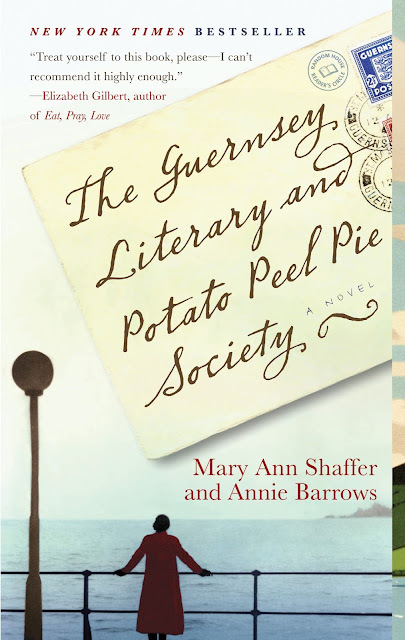 You have read The Guernsey Literary and Potato Peel Pie Society, yes? I mentioned it to my sister-in-law, a voracious reader. To my surprise, she hadn’t read it. Taking my advice, she picked up a copy that same day. When she was finished she sent me a text saying it was one of her new favorite books. 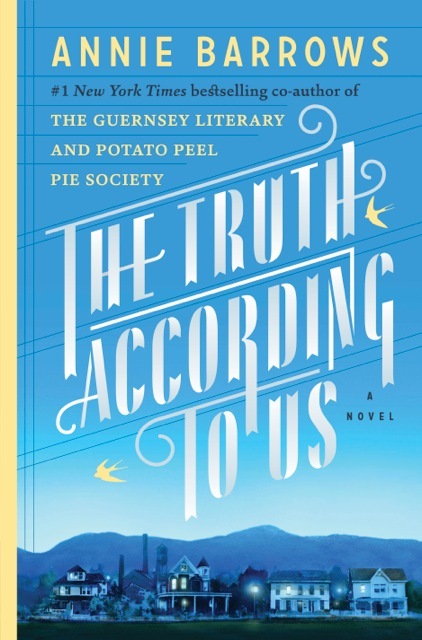 Now she’s moved on to Annie Barrows and devoured her book The Truth According to Us which she pronounced ‘‘wonderful’’ saying it reminded her of To Kill a Mockingbird! Time to get cracking!